For many decades, oil was available to meet all of our energy needs. It flowed from the earth; the challenge was to extract and refine it. The supply itself has only recently become a problem, and governments and businesses are scrambling to find a new source of energy that will once again allow us to power all our beloved technology without worries. There is a problem with this hope, though. It is based on a worldview formed under an illusion. The oil reserves of our planet have functioned like a huge savings account, which we have been drawing from thirstily since we learned how to do so. Now that we are within sight of the end of the savings, we have to realize that another such supply does not exist on our planet. Biofuels are a recent darling of the misguided hope for endless energy. Burning them for energy produces less pollution than burning fossil fuels. They are renewable, coming as they do from plants. At first blush, biofuels certainly do seem like a solution. There is increasing evidence that the total emissions and environmental damage from producing many “clean” biofuels often outweigh their lower emissions when compared with fossil fuels. More governments are responding to these findings. The problem, it turns out, is that the plant stock used to make the biofuels must be grown and processed. The land on which it is grown, the methods of planting and harvesting the crop, and the system of processing it into biofuel, are all factors that must be accounted for. But in recent months, scientists, private agencies and even the British government have said biofuels could do more harm than good. Rather than protecting the environment, they say energy crops destroy natural forests that actually store carbon and thus are a key tool in the fight to reduce global warming. Our ravenous appetite for free energy is the problem, not any particular shortage of fuel sources. For decades we were living off the accumulated energy savings of millions of years. That kind of bounty won’t come again. We need to reorganize our way of thinking about energy, including funding for light rail transport systems, funding for the lowest impact energy sources (solar and wind), and public education about the problems of our current energy lifestyle. NASA will send a space shuttle and seven astronauts to repair and upgrade the Hubble Space Telescope as soon as May 2008, overturning an earlier decision that the complex mission posed too much of a risk. I firmly believe that one of the most important strengths of the United States is our commitment to science and technology. The Hubble telescope is a tremendous achievement of engineering, one we should be proud of, and one which can produce scientific advances no other device could. Ordinarily this film would never have been made, let alone scheduled for release in hundreds of theaters. But President Bush and the congressional Republicans have created a Ross Perot moment: a hunger for a leader with diagrams and charts, for a nerd who lays out basic facts ignored by blinkered government. By their contempt for expert opinion on everything from Iraqi reconstruction to the cost of their tax cuts, Republicans have turned Diagram Gore into a hero. Everyone is getting tired of the factual relativism. People are getting tired of GOP delay tactics, like calling for more research, or making ever more bizarre claims about the ulterior motives of Americans who want to protect the environment. We want our government to face reality with creativity and confidence, not dithering and doublespeak. The piece is full of references to actual scientific resources, and is worth reading in full. The Republicans are going to have to figure out a better way to face the challenges of global climate change than pretending it isn’t real. It’s real. Evidence will only continue to accumulate. I have been looking forward to An Inconvenient Truth ever since I heard it was being made. Al Gore’s book, Earth in the Balance , had a huge impact on me when I first read it during the runup to the 2000 election, and I have always admired his tenacious advocacy for the environment whether it was politically popular or not. I promise, you will be captivated, and then riveted and then scared out of your wits. Our Earth is going to hell in a handbasket. Those of us who have been paying attention to global warming are already terrified, of course, but for most Americans climate change has never attained the sense of urgency that would allow the necessary societal changes. There are two reasons for this. First, climate change is not simple or instantaneous, so that the many small changes over time don’t seem to be alarming. Second, groups who make money in industries that cause climate change have been busy spreading disinformation so that the climate issues will seem awfully confusing, thus supposedly justifying endless spurious debates as a technique to maintain the status quo. You will see the Arctic and Antarctic ice caps melting. You will see Greenland oozing into the sea. You will see the atmosphere polluted with greenhouse gases that block heat from escaping. You will see photos from space of what the ice caps looked like once and what they look like now and, in animation, you will see how high the oceans might rise. Shanghai and Calcutta swamped. Much of Florida, too. The water takes a hunk of New York. The fuss about what to do with Ground Zero will turn to naught. It will be underwater. But it is the thought that matters — the application of intellect to an intellectual problem. Bush has been studiously anti-science, a man of applied ignorance who has undernourished his mind with the empty calories of comfy dogma. For instance, his insistence on abstinence as the preferred method of birth control would be laughable were it not so reckless. It is similar to Bush’s initial approach to global warming and his rejection of the Kyoto Protocol — ideology trumping science. It may be that Gore will do more good for his country and the world with this movie than Bush ever did by beating him in 2000. Truly, one of Bush’s most long-lasting legacies will be the damage he has done to science and intellectual pursuits in our nation. I am happy that Gore is out there, speaking about a real problem that faces us all, and encouraging the use of ingenuity, ethics, and responsibility to solve it. In this month’s issue of the journal Science, a team of U.S. and Canadian researchers said the Bering Sea was warming so much it was experiencing “a change from arctic to subarctic conditions.” Gray whales are heading north and walruses are starving, adrift on ice floes in water too deep for feeding. Walruses starving! I can’t bear to think of it. Global warming has begun. We have got to address this in our national discourse, or the next mammal starving could be us. Also, for more on the hilarious White House approach to this problem, see this previous entry about Greenhouse Gas Intensity. No Administration is eager to hire people who are virulently opposed to its goals. Yet, in the past, there has usually been a general feeling that scientists are above, or at least on the sidelines of, politics, and that they should be given jobs based purely on their ability to carry them out. That is a little utopian, and, of course, it doesn’t always work that way. But this Administration, more than any in memory, seems very aggressive about making certain that its scientific advisors support its ideas. And, if they don’t, their advice is often ignored. I was told that Torsten [Wiesel] was rejected because he has signed open letters that were critical of the President . . . Geeta [Rao Gupta] was rejected because her organization is not opposed to abortion “which, we should not forget, is legal in the United States. And Jane Menken sat on the board of the Alan Guttmacher Institute . . . That is literally what was said to me. Then I received a bunch of C.V.s in the mail. One of them was from a professor emeritus of economics at an obscure college in California that I had never heard of. His entire publication record consisted of pieces in the Christian Science Monitor and a Catholic monthly that took politically charged positions. That was typical of the calibre: there was nothing scientific, nothing peer-reviewed. This administration, for various reasons, has problems with facts. Scientists try to discover and describe facts. This conflict leads to the disastrous situation described above. The administration defines competence, not as the ability to perform a job well, but as ideological sympathy with the President. Thus Brownie can do a heckuva job, but eminently qualified scientists are not considered qualified. Disgusting. Unfortunately, the real world will continue to operate in a fact-based manner, no matter what Bush wishes were true. Either we embrace science, and let real scientists do their jobs, or we continue on the path of ignorance, which leads to disaster. If there are any conservatives out there, reading this, I’d like to take a moment and remind you: it’s Conservative Amnesty Month. You have the chance to be forgiven for the past, all it takes is voting Democratic one time. Eighty-five percent of the 1,018 adults polled opposed an increase in the federal gasoline tax, suggesting that politicians have good reason to steer away from so unpopular a measure. 55 percent said they would support an increase in the tax, which has been 18.4 cents a gallon since 1993, if it did in fact reduce dependence on foreign oil. 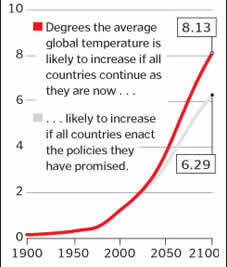 Fifty-nine percent were in favor if the result was less gasoline consumption and less global warming. My question here is: what else could a tax increase possibly do? Higher tax would decrease consumption, thus lessening our dependence on all oil, regardless of where it came from, thus reducing our dependence on foreign oil. Similarly, since global warming is caused by carbon dioxide, a byproduct of (among other things) fossil fuel combustion, less use of oil would have to decrease human contribution to global warming. There is no other possible result of an increase in the gas tax, unless perhaps it makes people so excited that they drive their hummers all over the place for no reason. Not likely. Lisa Fisher, a 36-year-old yoga instructor in Chicago who described herself as a Democrat, wants any additional revenue earmarked. This is another question that could be settled by policy debates. I agree that the extra income would have to be judiciously allocated, when it was not being balanced by tax cuts for the bottom 90 percent of the income scale. All of these micro-scale policy question aside, the article basically shows that a majority of Americans support increasing the gas tax provided the laws of physics and economics do not change drastically. So why aren’t we doing it right now? Write your representative or senator today and ask them!